Hilscher has upgraded its cifX PC-card drivers to support the latest INtime 6.3 version. 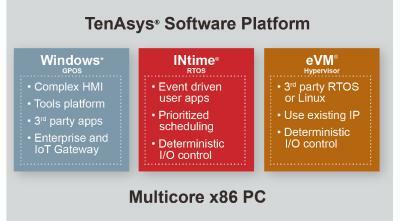 The TenAsys®’ INtime® real-time platform, in combination with Hilscher’s cifX PC-cards, offers the possibility to run Real-Time Ethernet and Fieldbus communication in time-sensitive applications on Windows-based PCs. INtime® for Windows is a real-time runtime environment, which expands standard Windows PC-systems by adding hard real-time capabilities according to industrial requirements and it has been enabled for the direct use of cifX PC-cards. INtime runs real-time applications in its own address space including the INtime cifX driver, though the card configuration is still manageable from the Windows tools by a special version of the cifX application DLL. 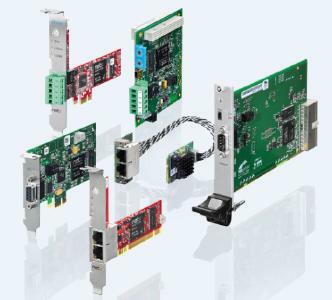 Hilscher’s PC-card family cifX is available in all common card formats: PCI, PCI Express, Compact PCI, Low Profile PCI Express, Mini PCI Express, Mini PCI, PC/104 and PCI 104. Due to Hilscher’s platform strategy, all PC-cards use the same driver and tools, independent of the chosen protocol and card format. This gives customers a maximum of flexibility. When changing to another communication protocol, only a different firmware needs to be loaded. 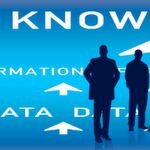 A complete software package including tools, documentation and loadable firmware files is always included in the scope of delivery. Customers reduce their efforts and decrease their time-to-market significantly through setting up their PC-based application with cifX and INtime – two reliable technologies in the automation market for many years. Furthermore, the development risk and development time will be decreased on the customer’s side. In addition, customers will be able to react to changing market demands through an easy and quick change between different protocols and hardware-interfaces – with Hilscher’s platform strategy and TenAsys’ INtime real-time platform. For further information, please contact Hilscher Gesellschaft für Systemautomation mbH at www.hilscher.com or TenAsys® at www.tenasys.com. With the TenAsys software platform, virtualization expert TenAsys from Beaverton, Oregon, offers a comprehensive foundation for embedded real-time applications in the areas of industrial control, Internet of Things and Industry 4.0. This is always a combination of the real-time operating systems INtime for Windows, INtime Distributed RTOS and eVM for Windows. The TenAsys software platform is based on the Intel x86 processor architecture and supports the Microsoft development environment Visual Studio. TenAsys has been a partner of globally operating companies in the fields of medicine, telecommunications, industrial and robot control, test and measurement applications and military applications since 1980.